Corkcicle Rose Metallic Canteen 25 oz. 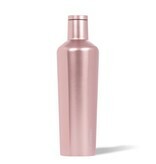 Home / Corkcicle Rose Metallic Canteen 25 oz. A one stop, gift shop featuring jewelry, accessories, home decor, baby, personalized gifts & more!